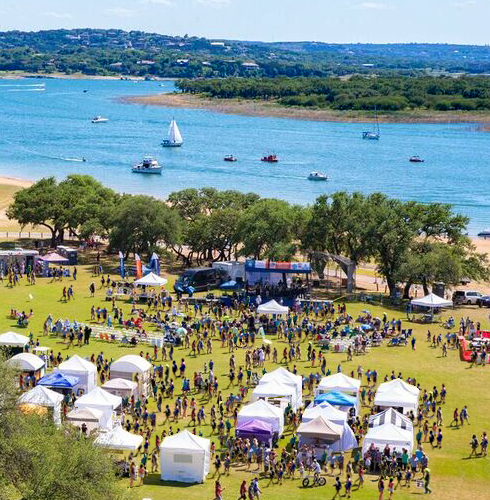 The biggest, most exciting live music, art, and food festival on Lake Travis! BOATS: Sailboats from the Austin Yacht Club arrive in the morning, stay for the day, and race back across the lake as part of their Annual Turnback Regatta. Come see their beautiful sails. Pleasure boaters are welcome to come ashore and enjoy the fun too. Please leave outside food and beverages at home. 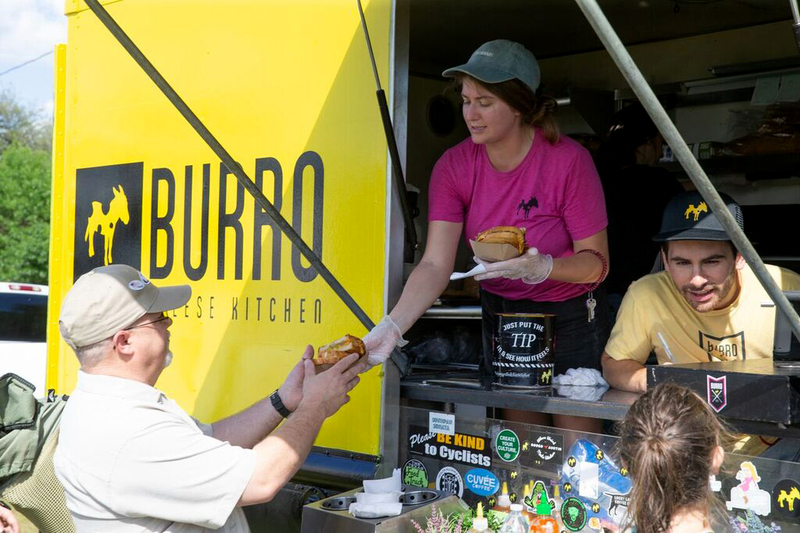 Our food trucks and beverage vendors have traveled far and work very hard to provide you with some of the yummiest meals and drinks for all ages and tastebuds. This year LAGO FEST EATS include Evil Wiener, Burro Cheese Kitchen, Bakers BBQ & Burgers, Bakers Brisket, Casa Mexico, Kebablicious, Garbo's Lobster, and Cannone Gelato on the cutest bikes that drive around the park. 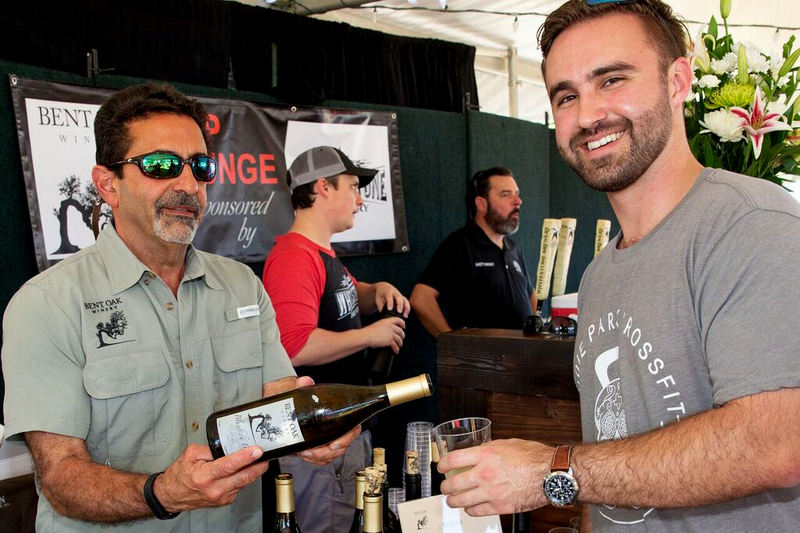 Our beer and wine pavilion - note that there's wine this year - will serve up an array of delicious adult beverages including Coors Light, Miller Lite, Dos Equis, Shiner Bock, Revolver Full Tang IPA, Hops & Grain (a pale Mosaic), Blue Moon, Corona Premier, and Argus Ciderkin (gluten free). For the wine lovers (gluten free), relax with a glass of Crispin Rose Cider, Copa de Vino Cabernet Sauvignon, or Capa de Vino Chardonnay. 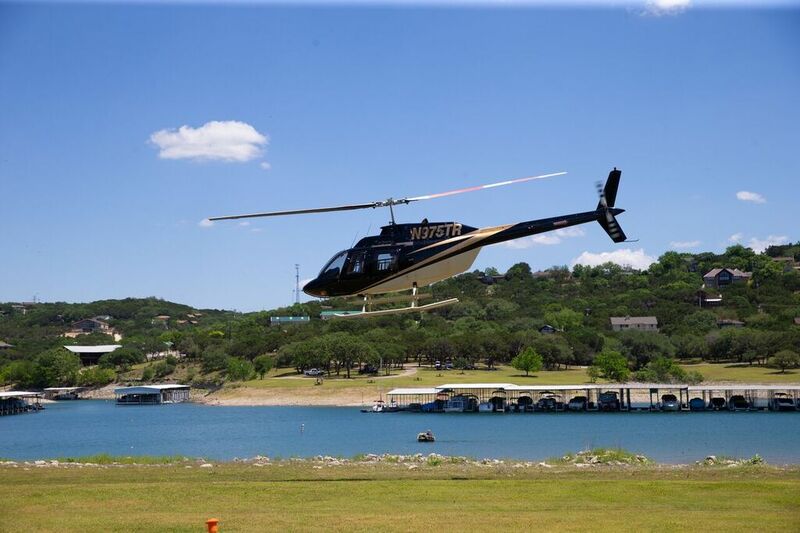 Lonestar Helicopters will once again be out on the point taking passengers up for the ride of their lives over the gorgeous lake and hills in our stunning north shore Hill Country area. Book your ride first thing in the morning to make sure you get a seat! LAGO FEST ARTS. They say art is life! And even better, art is what to buy for Mom on Mother's Day. Start her Mother's Day weekend right by bringing her and the whole family out to LAGO FEST. Let Mom do some shopping for something she likes. Flowers are old school. Art is smart. These artists are hard at work in their studios getting ready for us. They support themselves by selling at show. They are pros. 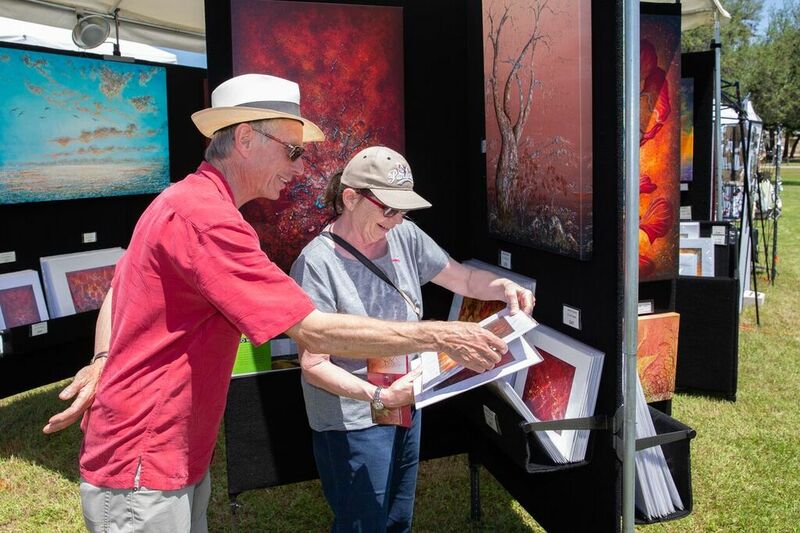 Show them some of our Lago Vista love and good taste by encouraging them, asking about their artwork and their process for creating these handcrafted beauties, and then take home some special. There's a whole bunch of family fun to keep you busy all day long. First, bring your swimsuits and sunscreen. We are on the LAKE. What could possible be better than that? We really DO have it good here in Lago Vista. Austin's favorite small animal petting zoo, Tiny Tails to You, is coming back again this year! Don't miss it like some of us did. We surely won't this time! The gang arrives around 12:30 PM and wraps up at 4:00 PM. Volleyball and Tetherball is ready for play! Who's up for a game? And as for games, how about playing with all the lawn games/toys LAGO FEST has for you. Play with friends, make new friends, then leave the toys for the next kids to play with. It's so much fun. Cordovan Art School and Mess Makers will have a large tent in the middle of the festival where they will be offering FREE art activities. Just wait to you see these. It's going to be something special. Got some kids with energy to burn? Rainbow Play Systems has the thing for you - a Spring Free trampoline. It's the safest in the industry and sure to produce tons of giggles, and then the need for a cool drink and another dip in the lake. Our sponsors will be out in full force showing you what their businesses are all about and what they can do for you. Watch for the booths where you might even have the chance to win something! Please stop by all our sponsors booths and say hello and thank you. They are our heroes. 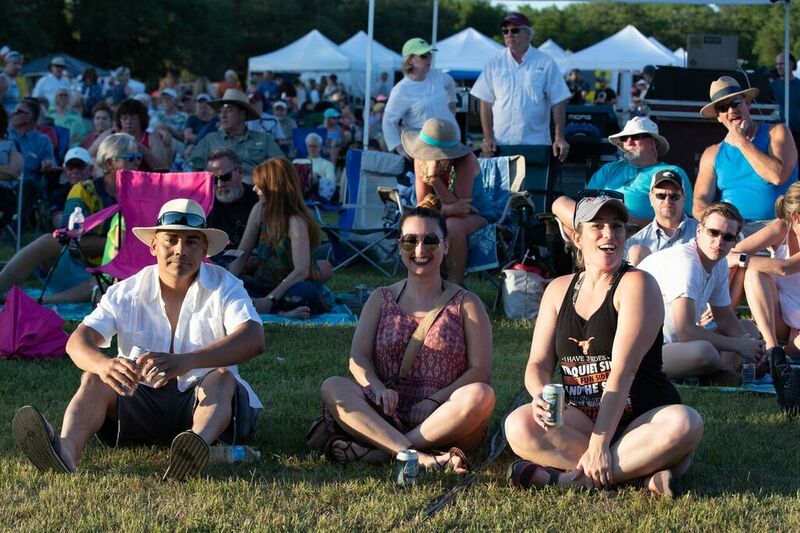 LAGO FEST BEATS: Get ready to groove! We have live music all day long. Don't miss it. If you've never heard of Ray, seen him at a show,, or seen him hanging out with his buddy Willie Nelson, then you are in for quite the fun experience. Don't forget that Happy Hour is NOON - 1 PM. A dollar off all beer and wine. VIP Lounge tickets will go on sale soon on the LAGO FEST website. 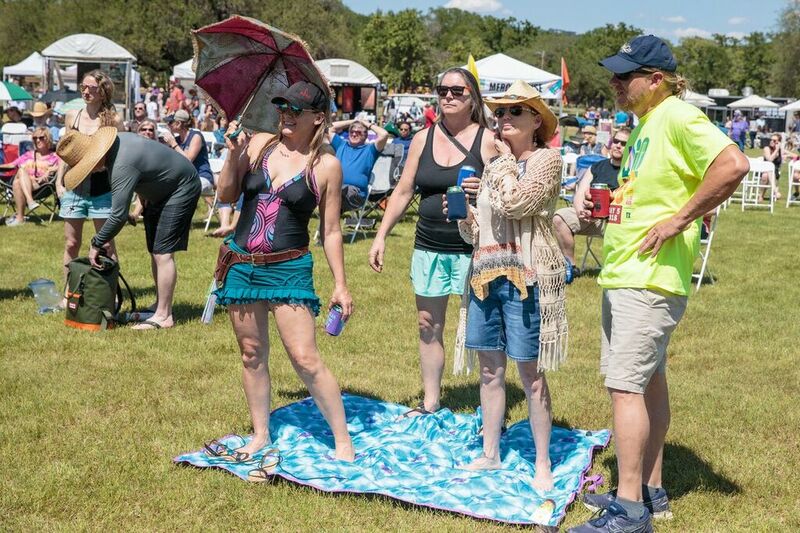 You won't want to miss out on this premium experience including an even larger, shaded tent, comfortable seating, craft brews from Whitestone Brewery, selected fine wines from Bent Oak Winery, snacks, and a light buffet of the Hill Country's #1 rated Italian Restaurant, Lago's very own Brock's Italian Market and Cafe! LAGO FEST T-shirts will soon be for sale at Lowe's Supermarket. Get yours there or at the festival. All festival merchandise will be available at LAGO FEST. We highly recommend using cash in order to avoid long lines. Keep posted on festival updates by joining the festival mailing list. 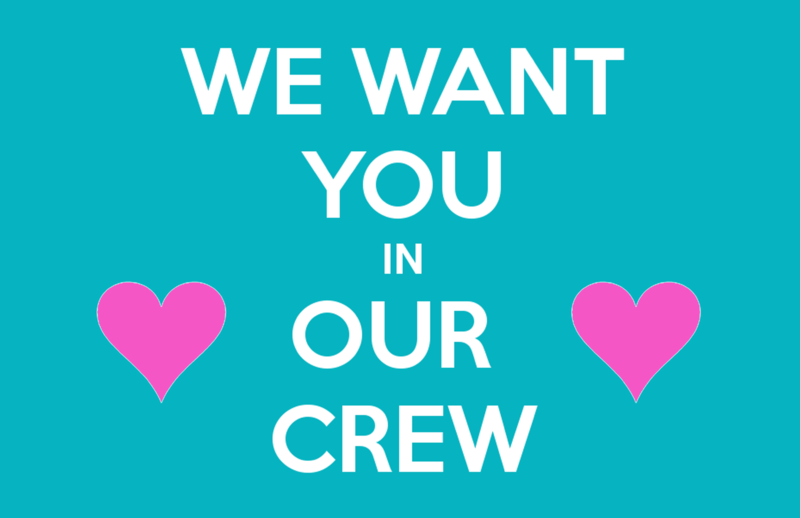 To learn more about volunteering and all its benefits, visit our web site and click on the VOLUNTEER page. Online sign ups are available. The deadline to sign up AND receive a festival shirt is APRIL 25, 2019. Go online to learn more. Remember, everything you need to know about LAGO FEST is on the LAGO FEST website! 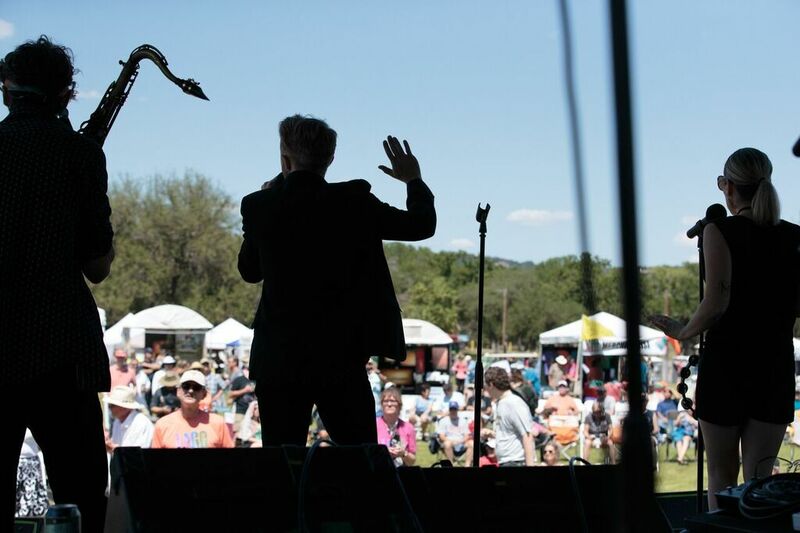 We can't wait to see you again this year at the 2019 LAGO FEST!